I've been a jeweler for nearly 20 years now, and i'm still learning. I started out beading, and it's what I always come back to, despite my love of all things wire-wrapped. I've flirted with many a technique, including soldering, metal work, and even porcelain bead making, but I always come back to the wire and beading. Many of my pieces are one of a kind, simply because I don't purchase most supplies in wholesale quantities. I buy small runs of findings and pre-shaped/-cut/-polished beads or gemstones, and tend to buy only enough to do the project I have in mind. This means that most of the time, once an item is purchased, it's gone forever. I work in a variety of materials, including vintage components and beads, modern components and beads, as well as gemstones and precious metals. I have a habit of taking pieces and parts that you wouldn't normally think of together, and blending them into my pieces in ways that, while not entirely unheard of, are somewhat unexpected. 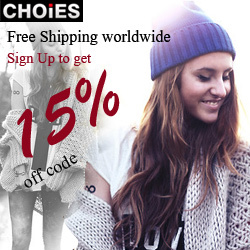 BUY IT: You can find great accessories, bracelets, earrings, finger rings, necklaces and set pieces in this shop. The prices start from $6.00. I like the Glittered Green Leaves Dangle Earrings. So pretty. I love the A Dryad's Leaves Glass Drop & Brass Necklace!! I like the Spring Colors Cluster Style Bangle Bracelet the best. Love the Goldtone Floral Bib Necklace! I like the Word Bracelet - Imogen's Cuff! I like the pinhook tiny gold fill earrings. I like the Spring Colors Cluster Style Bangle Bracelet. It's happy and fun! Thanks for a lovely giveaway. I like the Pinhook Goldfill Hoop Earrings. I like the Memento Moria - Day of the Dead Locket Pendant, so neat! I love the Beaded Atlantic Medallion Pendant Necklace! I love the Pillar of Ice Glass Bead Pendant Necklace. I really like the pale jade round dangle earrings! My favorite item is the Spring Colors Cluster Style Bangle Bracelet! It's very colorful and pretty! I like the Victoriana Purple and Brass Dangle Earrings! Favorite item is the Memento Moria - Day of the Dead Locket Pendant. Really awesome! 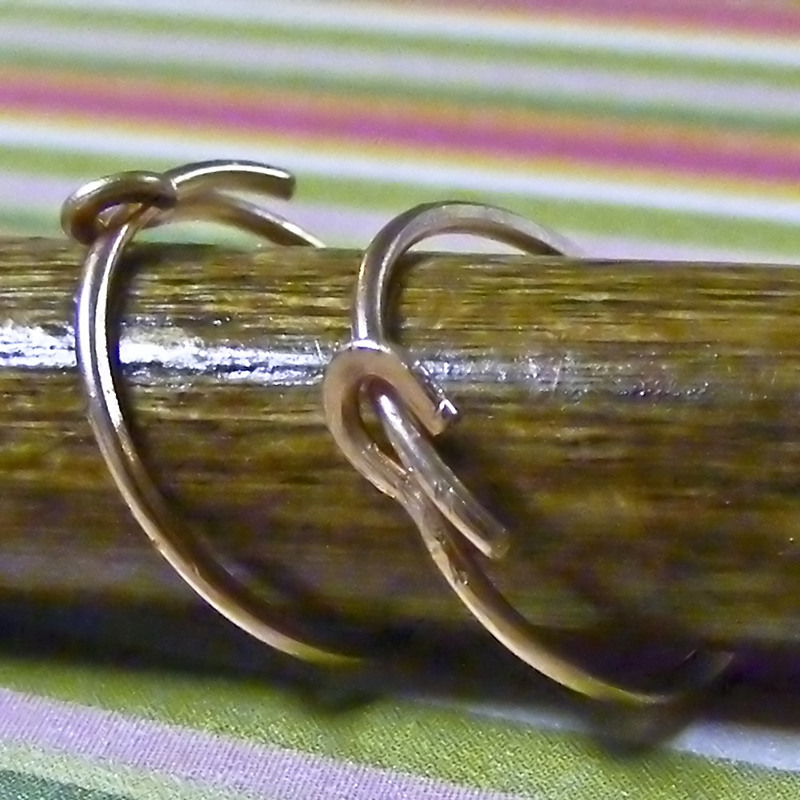 I love Pinhook Tiny Goldfill Hoop Earrings! I love the Teal Lantern Filigree, Alabaster, & Carnelian Necklace its so pretty! The Goldstone Rose Memory Wire Choker Necklace is nice. I love the pink quartz and black glass earrings. I like the purple stacking bracelets. I love the Sterling Silver Word Bracelet - Smitten Kitten! I love your Word Bracelets-they're great as is all your jewelry :) Thanks so much for this chance! 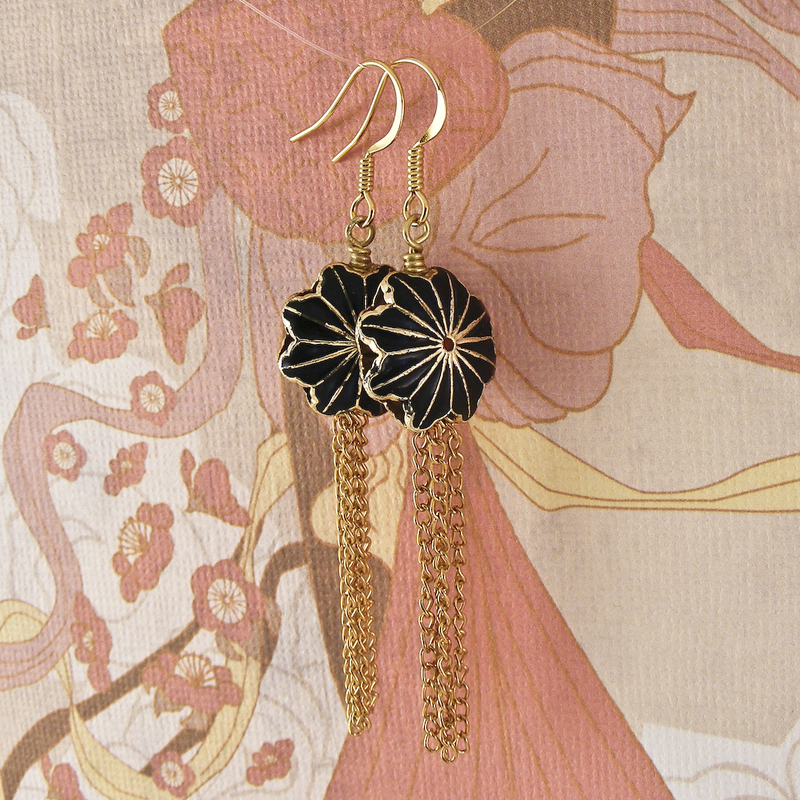 Ooooooh, the lucite drop earrings are fab! Green and brown pixie ring. 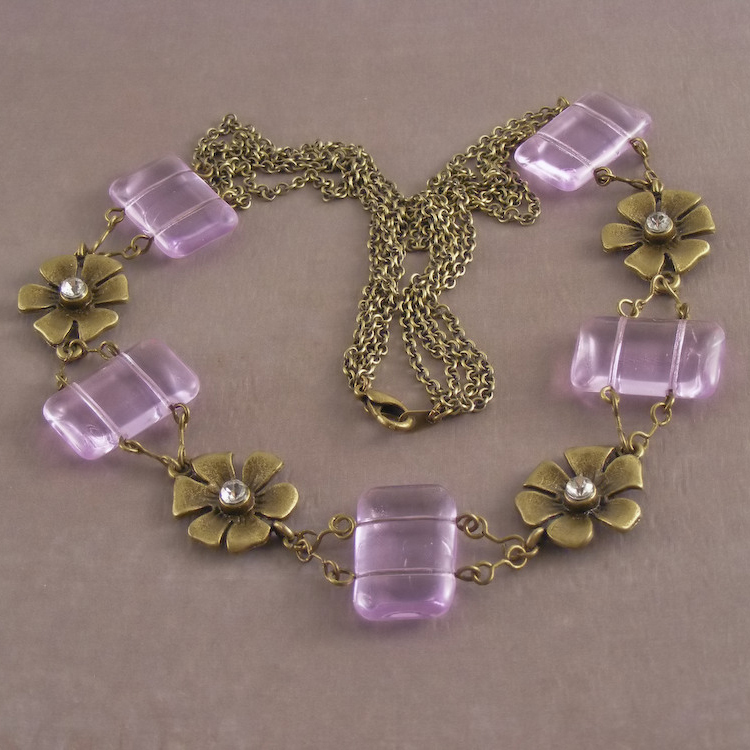 luv the dance of the sugar plum fairies necklace. I love this necklace http://impatiensdesigns.com/products/193995-goldtone-floral-bib-necklace or the word bracelets. I love the Dark Little Dangle earrings! love the green leaves.would love to wear those.